In addition to developing a replication under an umbrella organization, another replication turning around a traditional half-way house, and a faith-based replication, Delancey Street wanted to create a replication in an area where nothing similar existed. A local group called “The Friends of Delancey” representing prominent figures from the judiciary, law enforcement, criminal justice, corrections, probation, pardon and parole, city, state and Federal officials, corporate and business leaders, academic institutions, employment services, real estate and philanthropic institutions throughout South Carolina requested that Delancey Street open in their state. South Carolina friends were trained at the Institute for Social Renewal at Delancey headquarters in San Francisco. We incorporated the new organization as South Carolina STRONG (Sustaining, Teaching, Rebuilding Our New Generation) as a 501 ©(3) and began the process of looking for property. Through the largesse of noted developer John Knott, an agreement was struck with the Noisette Company in North Charleston. The Noisette Company leased three large homes in this historic district to the replication. 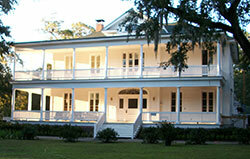 The buildings are classic Southern plantation architecture. SC STRONG residents restored these three homes under the direction of a Delancey Street graduate. SC STRONG residents learned the trade of historic restoration and green construction and developed a construction business training school. 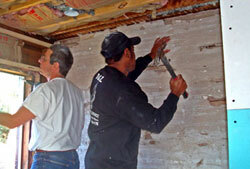 Four other business training schools are catering, furniture restoration, moving and a nursery and landscaping service. Because the development is based on holistic ecological principles, the landscaping and nursery service requires learning about native plants and fragile ecosystems, which are also a highly prized set of career skills for the residents. 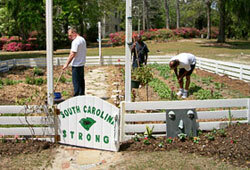 South Carolina STRONG became a Delancey Street Residential Education Community in 2015.